Comic Panel Narrative Project | What’s next? The few of you who have followed this blog for a while may remember A Narrative Corpse project from a couple of years ago. I’ve since modified this project to a single panel circulated amongst anyone who will take it. Basically, a person receives a drawn (or painted or collaged or photographed or whatever the preferred media) panel and is asked to respond to it on a blank panel. It is a visual correspondence from panel to panel. I have a few streams of narrative on the go with the goal being to randomly reorganise the narrative with every exhibition or reprinting of it. 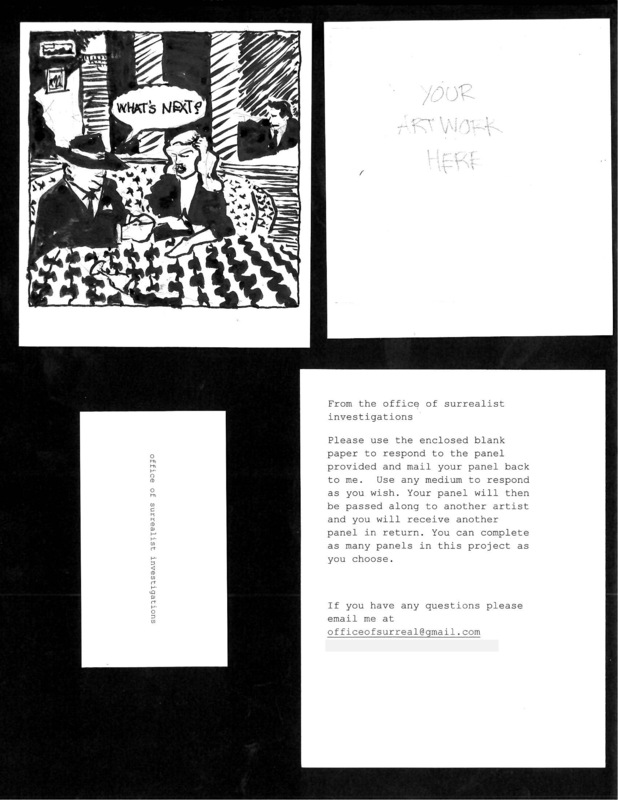 Still not sure how to reconfigure it in a zine format, but I am working on a few possibilities. Ideally, I mail you a package including the latest panel, a blank panel, instructions, a card and a SASE to return your panel. The above image gives you an example of what I’m talking about. Your artwork is then passed onto the next participant. I’m asking for a 1 week turnaround time on the work, not including mailing. If you want to take part email me at officeofsurreal@gmail.com or send me a comment or if you know me personally, ask me. You may remember this image from an earlier post that I’m too lazy to link to. 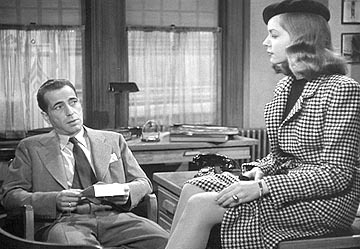 The point being that the office of surrealist investigations is getting a physical office space… at least temporarily. From June 5 to July 11 of this year, the office of surrealist investigations will be open for business at Arnica Artist Run Centre. It will have 2 rooms, a main office and a funky vault space and I have a lot of goings-on planned for both spaces and projects on the go in the lead up to the opening, including a couple of projects on the go that I hope a few of you will join in on and even more of you will take part in over the duration of the exhibition. More on that in another post (likely the next post). The office space deals with a lot of things that started this blogspot in the first place. 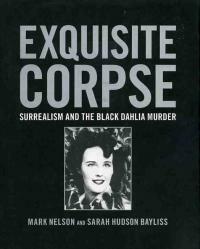 Basically, the office of surrealist investigations spawned from an interest in drawing games, particularly the exquisite corpse, and an odd book I found linking the Black Dahlia murder of the 1940s to the surrealists. I don’t know how much truth there is to this book, but it is an interesting read, and if you have any conspiracy theorist in you (which I have very little), you may find it fascinating. If not, then you might find it humourous or crazy. I’m particularly curious about the mention of Man Ray, Marcel Duchamp’s Etant Donnes and Elizabeth Short’s corpse and the use of the corpse throughout Surreal and Dada work. I’ll spare you the gruesome details of the Black Dahlia murder and by no means do I encourage you to watch the even more gruesomely put together movie of recent years. I will, however, encourage you to pick up James Ellroy’s book The Black Dahlia. Pictured below is Duchamp’s Etant Donnes translated as the waterfall or the illuminating gas. I’ve seen this work in person and it is a three dimensional work viewable only through a pair of peep holes like those found in a door. The intrigue lies in the the instructions of Marcel Duchamp regarding this work. Etant Donnes was not unveiled to the public until 1969, a year after his death. That is the very short version for the intrigue, but it is odd how long this work was kept secret unseen until after his death. The pose recalls the pose of the Black Dahlia Murder. 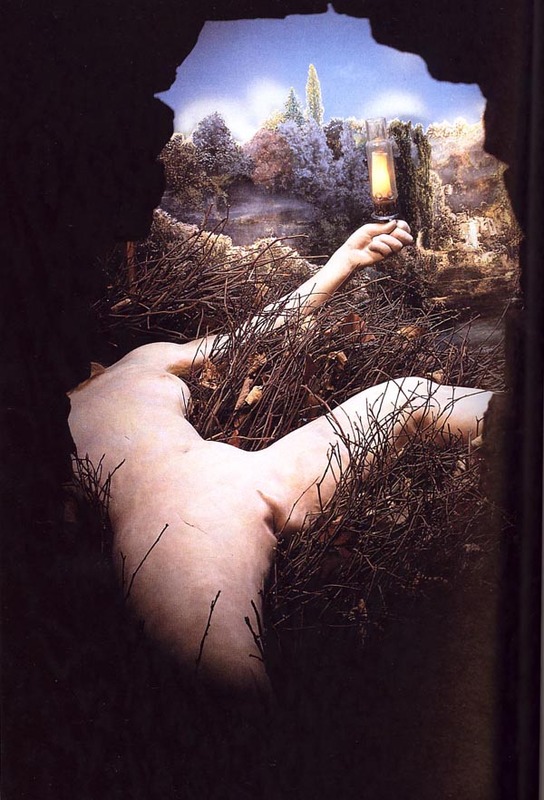 Theory that murder emulates ideas of exquisite corpse and dismemberment seen in earlier surrealist/dada works. 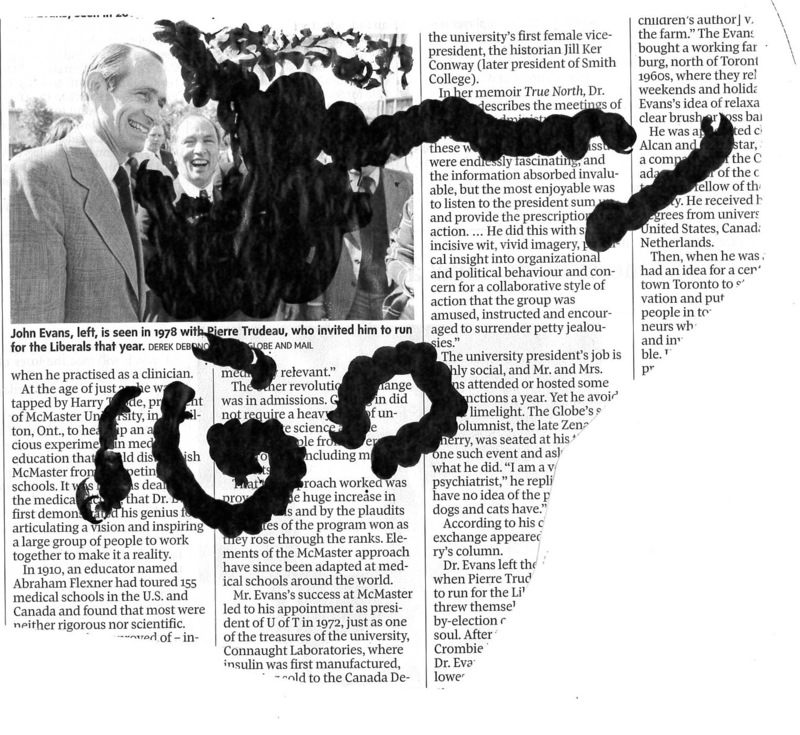 Being that I have been interested in Surrealist practices such as automatism and drawing games as well as film noir, hard-boiled fiction, drawing in general, comix and narrative, these things all come together within the practices of the office. 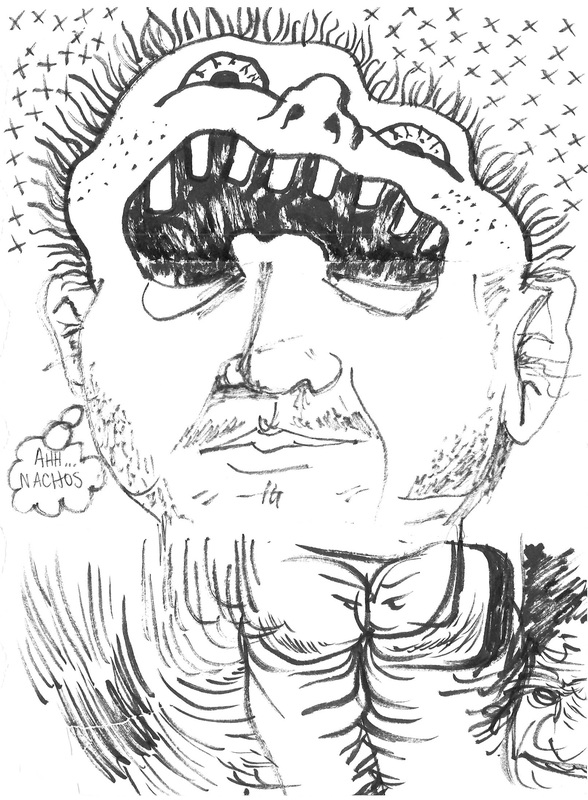 Mainly, I liked taking the idea of the exquisite corpse and turning it into a multi-authored narrative. At first, linear like the narrative corpse project I got started and borrowed from Art Spiegelman, but changes had to be made. I felt his format revealed too much and was a little too rigid and limited to one medium. Eventually I wanted to get rid of any continuity with character and make the jumps form panel to panel more open. This of course, depends on who is drawing, responding, passing it along. These are the basics of the project, and this is also the point where I want to get more people involved, so stay tuned for an upcoming post for more on this and how to get involved in the narrative.